Mobile Homes provide a substantial amount of housing for people living within the United States. 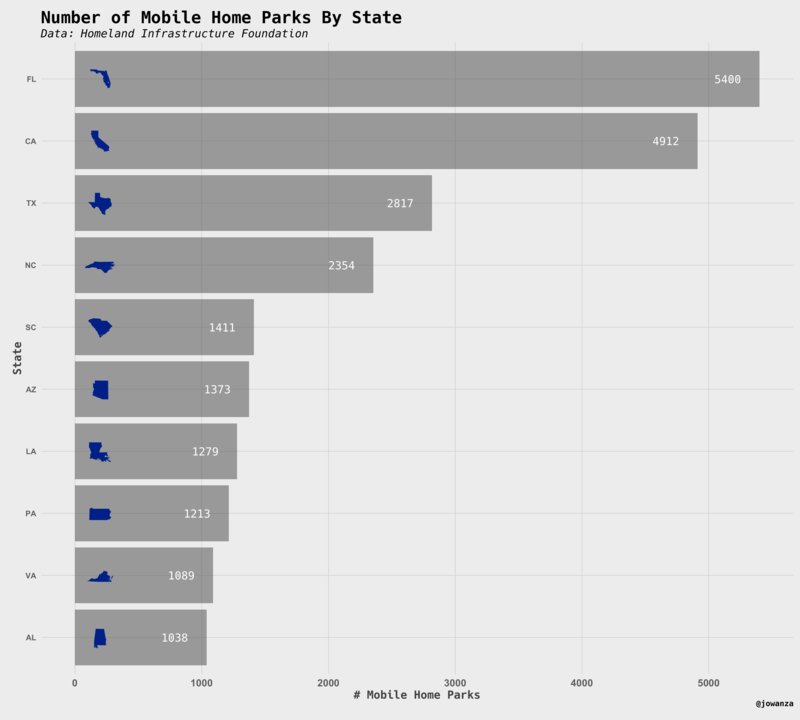 In this post, I take a look at data on Mobile Home Parks provided by The Homeland Infrastructure Foundation and U.S. Census. 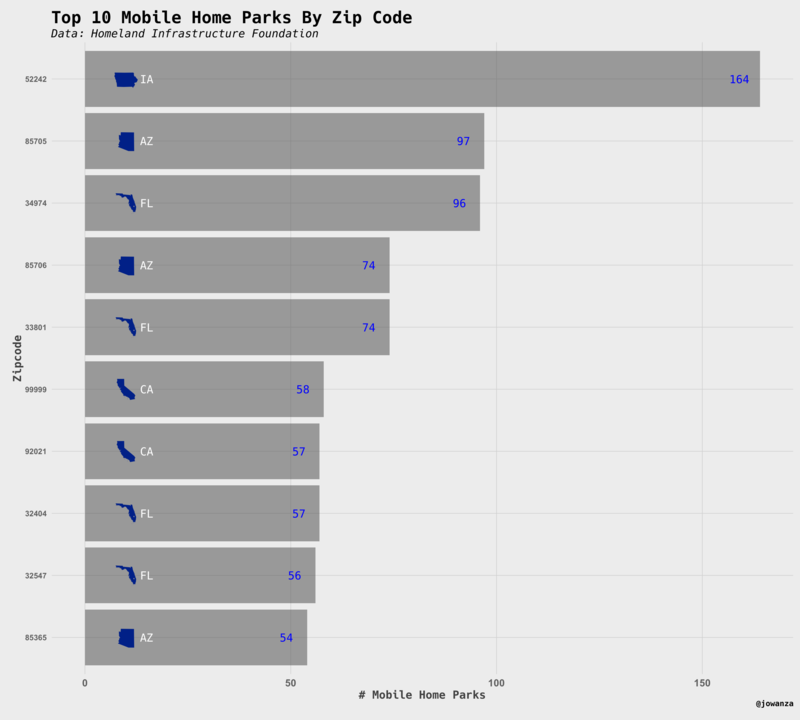 Within the dataset, some of the mobile home parks listed when they were built. 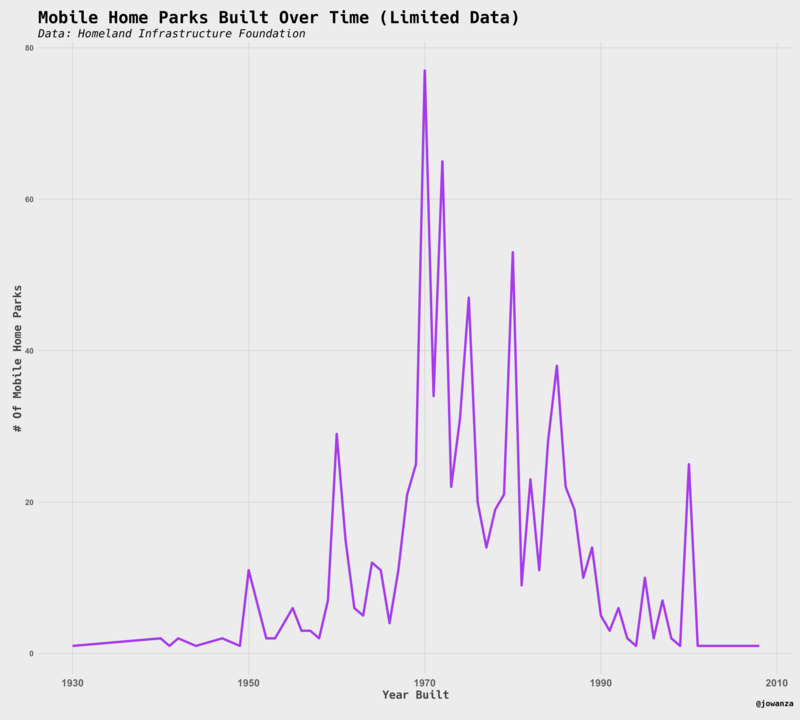 This data is quite limited, but it might still provide an idea of when mobile home parks were popular in the United States throughout time. 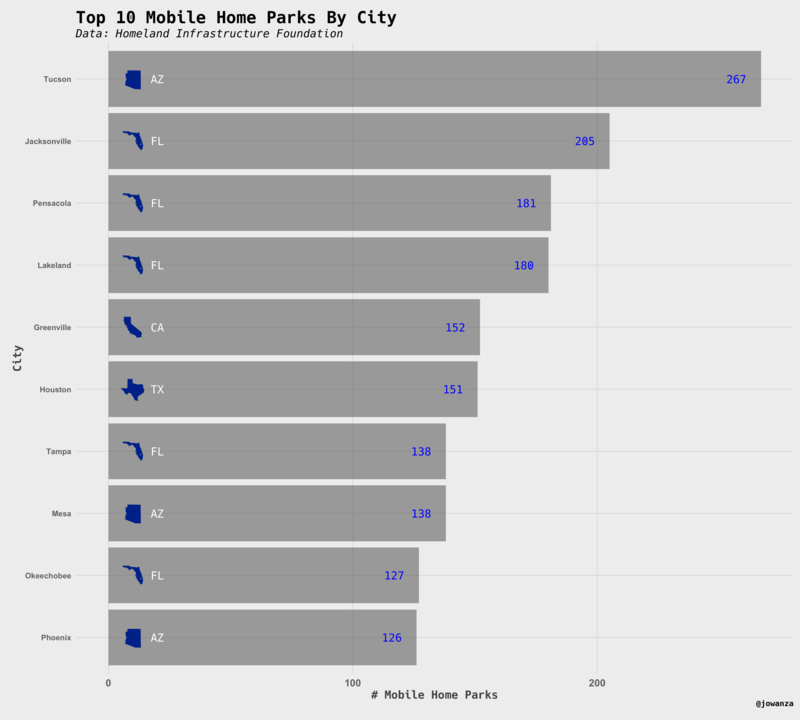 This is a look at how many units are in a mobile home park. 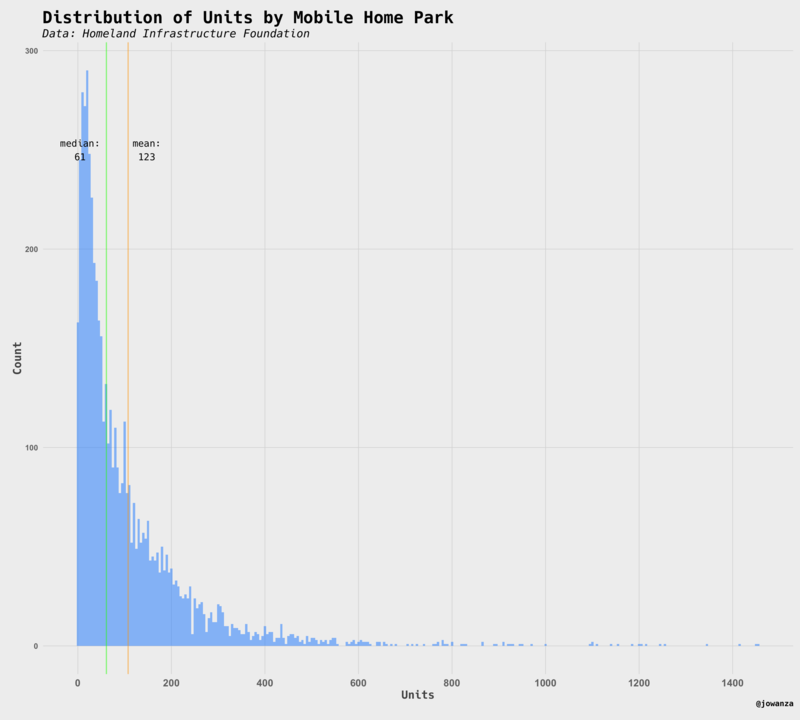 I visualized the distributions and on average there are about 123 units per mobile home park. 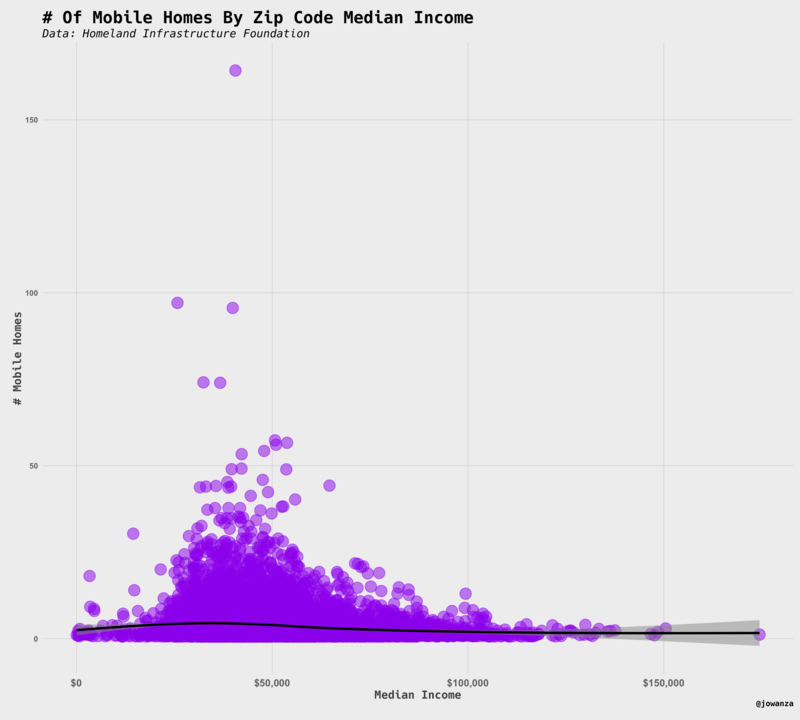 This is a simple look at median income by and number of mobile homes in a zip code. A few people asked if I looked at per-capita. I did, nothing too interesting emerged. 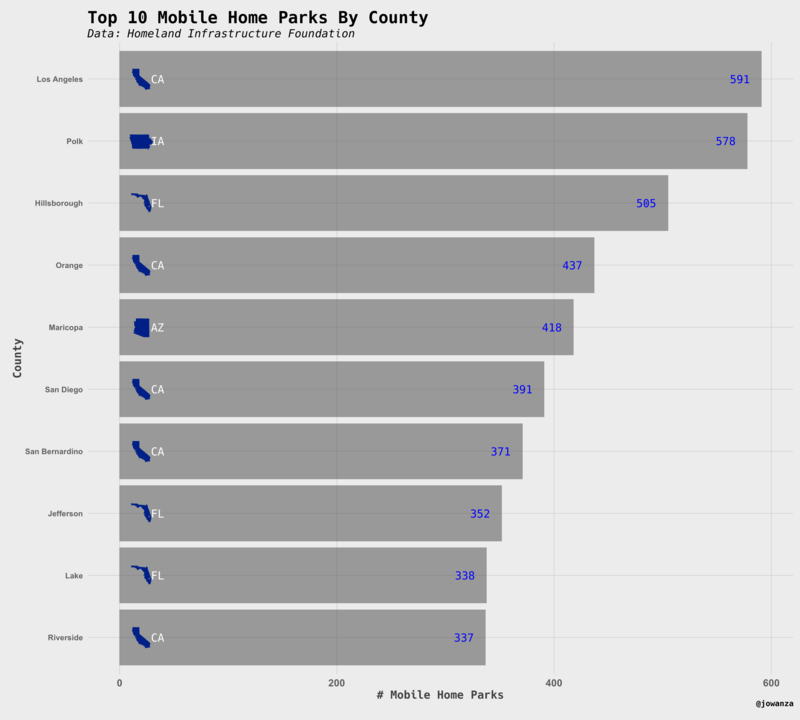 Essentially, rural towns would rank the highest and I did not include those visualizations. Feel free to create your own, the code used to create the visualizations can be found here.